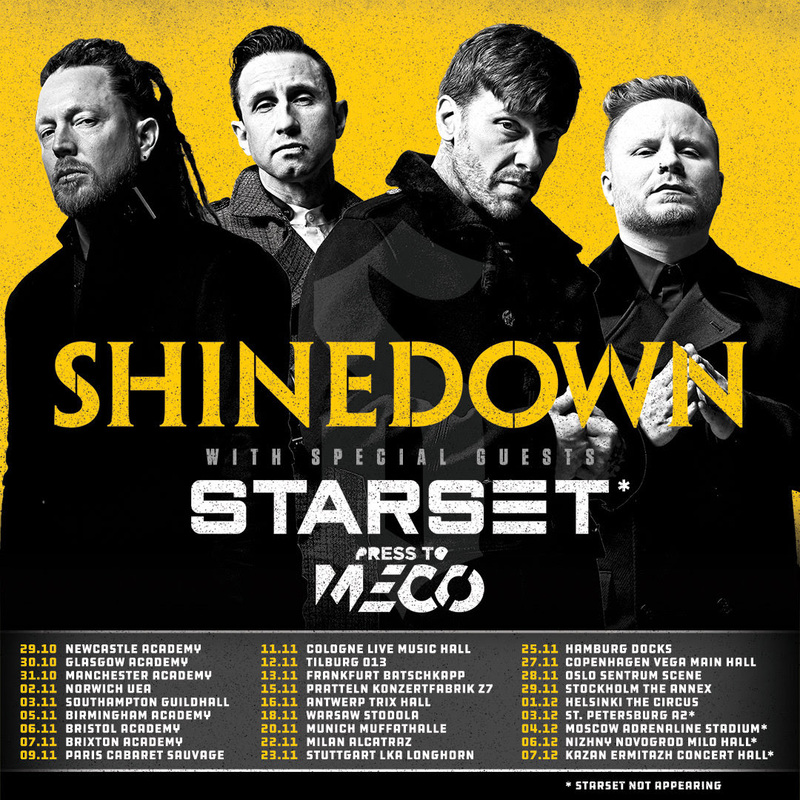 Marshall Records' British alt-rock trio Press To MECO will be supporting multiplatinum rock band SHINEDOWN on a tour throughout Europe throughout November and December, starting this Friday! Check out the dates on the poster above. Press To MECO released their first album for Marshall Records "Here's To The Fatigue" on March 30th to critical acclaim. You can stream the album on Spotify or watch the music videos for singles "Familiar Ground" and the latest "Itchy Fingers". 'Press to MECO' are guitarist/vocalist Luke Caley, bassist/vocalist Adam Roffey and drummer/vocalist Lewis Williams, a trio on a relentless pursuit to harness their sound into a punchy, driving and visceral powerhouse. Lewis, Luke and Adam have found creative inspiration in bands like The Dillinger Escape Plan, Rueben, Everything Everything, Manchester Orchestra and Deftones; to pop artists ABBA and Michael Jackson.